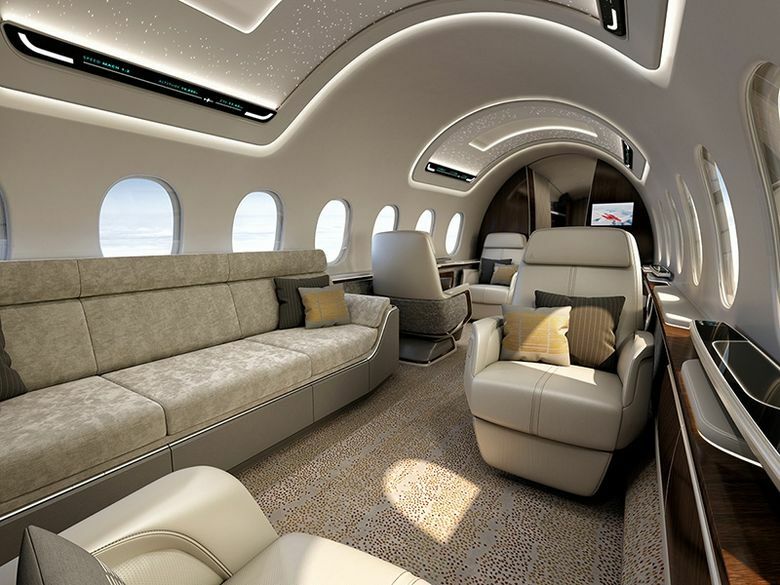 Lockheed Martin has joined the team developing a supersonic business jet, the Aerion AS2, which already had backing from Airbus and engine-maker GE Aviation. The 12-passenger jet is due to enter service by 2025 and Aerion sees it as the forerunner to larger supersonic airliners. Military-aviation giant Lockheed Martin is adding the expertise and reputation of its famed Skunk Works research unit to a commercial-airplane project, the Aerion AS2 supersonic business jet. Lockheed is joining Aerion Corp. of Reno, Nevada, to develop the sleek, needle-nosed plane, which is intended to fly 10 to 12 passengers at speeds up to Mach 1.4. That’s about 55 percent faster than today’s fastest commercial jets, equivalent to greater than 1,000 miles per hour. First flight is planned for 2023 with certification and entry into service in 2025. 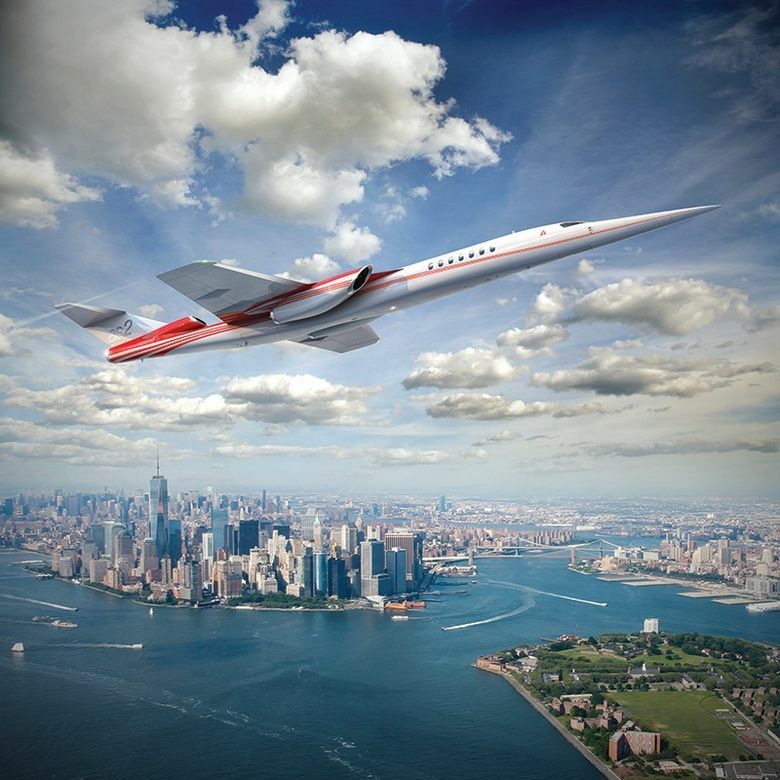 At a Washington, D.C., news conference Friday, Aerion Executive Chairman Brian Barents suggested that the AS2 is just the first step toward future supersonic-commercial airliners. But the company sees itself building larger jets later. Orlando Carvalho, executive vice president of Lockheed Martin Aeronautics, said that in addition to providing detailed engineering support to develop the airframe and certify the jet, his engineers will work on the best way to build the plane. He added that Lockheed’s jet fighter manufacturing base in Marietta, Georgia, — where the Lockheed Jetstar, the world’s first successful business jet, was built in the 1960s and ‘70s — is a prime candidate for an AS2 assembly plant. However, Barents also noted a preference for a coastal site to allow supersonic flight tests over the ocean. Lockheed joins a project that already has engine-maker GE Aviation on the team. Because flying at supersonic speed generates great heat, GE business aviation Vice President Brad Mottier said, his engineers plan to use an existing, fuel-efficient commercial airplane engine core — the hot, combustion part of the power plant — but to wrap around that a newly designed, low-pressure system “more like a military aircraft,” to control the heat at the engine inlet. Boeing rival Airbus earlier helped Aerion with initial structural design and system integration and remains a partner. It appears that further airframe design work will fall to Lockheed. But Barents said Airbus will potentially be a major supplier to the program. Barents was dismissive of the two rival supersonic business jets currently in development, both startups founded by IT entrepreneurs: Boom, based in Denver; and Spike Aerospace, based in Boston. Boom recently announced a 20-jet order from Japan Airlines. Barents said Aerion’s rivals lack partners with the pedigree of Lockheed and GE. Two years ago, Flexjet, which offers fractional private jet ownership, ordered 20 Aerion AS2s. Although the down payments on such an advance order must have been minimal, Barents cited the value of that order as $2.4 billion, which implies a list price of $120 million per jet — about the same as a 220-seat Boeing 737 MAX 9.